Quality Lab is a private, independent laboratory that achieved accreditation according to NS-EN ISO/IEC 17025 in March 2010. Quality Lab offers an extensive range of metallurgical and mechanical test services. We also have a dedicated engineering workshop for preparation of tests. The company has a team of highly qualified personnel who have long experience in steel production and testing. Our steel production know-how means that we can help our customers make the optimum choice of materials and methods to achieve the highest possible quality. Part of our service will be to provide support in questions relating to materials. 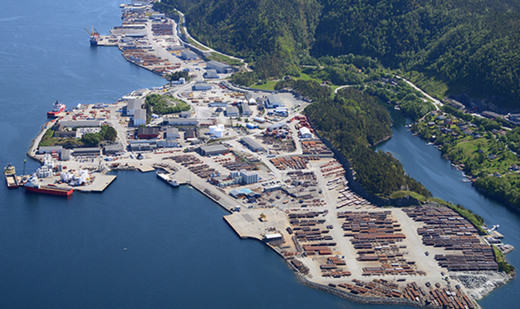 Quality Lab is located in Forsand outside Stavanger in premises comprising 900 m2 with an adjacent deepwater quay. We have a modern laboratory equipped with state-of-the-art laboratory equipment. Our aim is to provide the best possible service, maintain a high professional level and be one of the preferred laboratories in Norway. most standard test methods, and tests are also according to the customer’s own specifications and wishes. We have personnel with long experience in metallography. With our know-how we will be able to provide our customers with a deeper understanding of the material’s qualities. Metallography is used in connection with material verifications, welding procedures, damage assessment, heat treatment, requalification/recertification. , maintenance and repair of drilling equipment. The industry is constantly experiencing that equipment does not meet expectations. We use a combination of analyses, visual inspection, physical tests and experience to identify the cause. A metallurgist thoroughly evaluates all aspects of the damage and gives a conclusion and a recommended solution. Quality Lab can be a good partner in solving the problems with materials and problems associated with product quality.